It’s hard to know whether to envy Radiohead or not. On the one hand they can put out any release; safe in the knowledge that their records will sell regardless of quality or innovation. Equally, though, everyone expects them to produce something “new” each time and redefine the way we listen to music. In truth, Radiohead haven’t genuinely shook up music as a listening experience since ‘Kid A’ but their capability in creating fine albums always carries a weight of expectation. 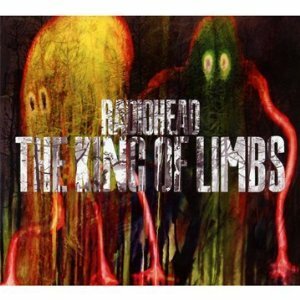 So to ‘The King Of Limbs’ then, which is chiefly remarkable for sounding like a representation of ‘Kid A’, ‘Amnesiac’ and ‘In Rainbows’ (albums 4, 5 and 7 respectively). The record begins in arresting style, courtesy of the urgent percussion introducing ‘Bloom’. It pulses with an abundance of beats, strings and warm synth melodies, offset by Thom Yorke’s despairing vocal. ‘Morning Mr Magpie’ is characterised by the kind of throbbing funk one would normally associate with The Fine Young Canniballs except in this case we are treated to Yorke’s sneer. ‘Little By Little’ is remarkable for its line “I’m such a tease and you’re such a flirt” whilst ‘Feral’ is too in thrall of Four Tet to truly stand out on its own terms. It takes five tracks for Radiohead to fully hit their stride and from there they never look back. ‘Lotus Flower’ is fairly undistinguished until the digital harmonies appear and then the song recovers a sense of intimacy that had been lost since the opening track. The warmth is maintained by ‘Codex’ (which sees Yorke et al revive the sadness of ‘Pyramid Song’), the subtle loveliness of ‘Give Up The Ghost’ and ‘Separator’s seductive dreampop. Overall, ‘The King Of Limbs’ is a curiously timid affair. If it had been recorded by anyone else it would be dismissed as a good imitation of Radiohead’s former glories and would doubtessly sell a fraction of what it has actually sold so far. As it is, it’s a strong record, noteworthy for a few sublime highlights, particularly on its moving second half. Within the apparently limited confines of an eight-string bass guitar, A Ninja Slob Drew Me (or less excitingly, Daniel James Brown) put out the startlingly diverse album ‘One Week In Sand’ in 2009. The only problem was that within the brilliant moments lurked a few tracks which tried a bit too hard to be different. 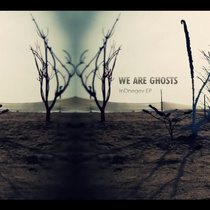 Perhaps mindful of this, ‘We Are’ keeps things simple and sticks to a compact six tracks. The title track may be embellished by beats but the hypnotic bass is always the focal point whereas ‘Drone’ promises little with its title but its twisting melody proves ultimately seductive. The second half is less beat heavy as ‘The Infinite’ steers the listener in to ambient waters but its the melancholic ache of ‘No Worry’ which stands out the most. One may argue that ‘We Are’ loses some of the character and idiosyncracies which made ‘One Week In Sand’ so fascinating but these six tracks are considerably more cohesive and enjoyable. It’s also never less than tuneful and the complex patterns Brown conjures up make a case him for to be the bass version of Vini Reilly. The Sky Drops AKA Rob Montejo and Monika Bullette have been a recording couple for several years now although Montego’s past can be traced back to original shoegazers Smashing Orange in the early 1990’s. If their belated first album (2009’s ‘Bourgeois Beat’) seemed to be heading for a harder and darker sound then by those standards ‘Making Mountains’ must be absolutely filthy as the duo shift even further away from that “shoegazing Everly Brothers” tag. From the opening strains of ‘Explain It To Me’, it’s clear that Montejo and Bullette are heading in to sludgier psychedelic territory. Harmonies have now become disharmonies. ‘Cut That Corner’ is, basically, catchier because it contains a chorus, albeit a rather brittle one whilst ‘Keeper’ maintains the low slung rhythms. ‘Out The Window’ is the standout movement thanks to its shifting, disorientating production and its melody is reminiscent of The Passions’ ‘I’m In Love With A German Film Star’. Finally, there’s the pleasant, acoustic-based ‘Togethering’ which couldn’t sound any different to the beginning of the EP. 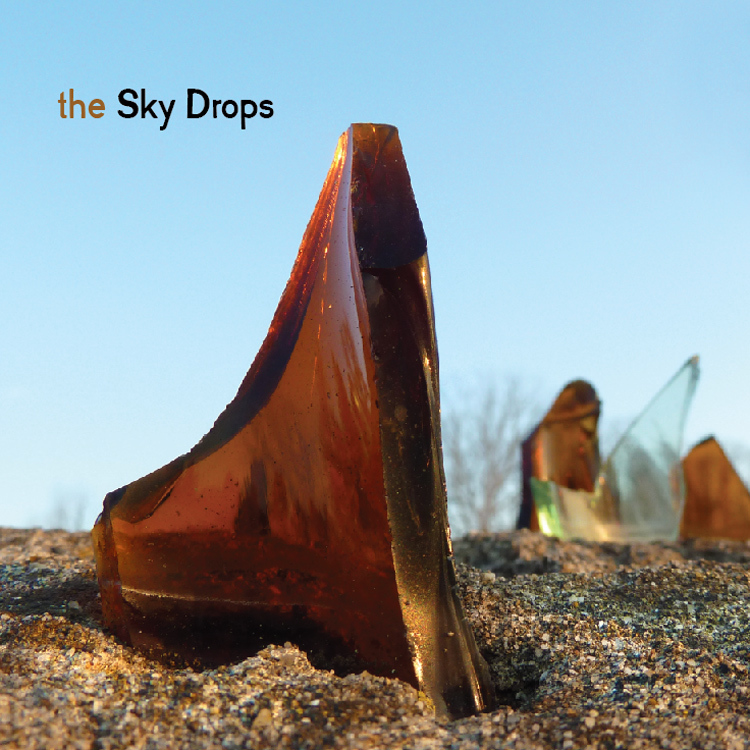 Given their experience and understanding of dynamics and dreampop’s past, it’s unlikely The Sky Drops will ever make a bad record. However, I do feel they have somehow lost what was special about them in the first place, namely those killer harmonies. Improvised music can surely only rarely succeed and the probability of anything worthwhile must be reduced still further when it’s recorded in the Israeli desert at 3am. However, under these circumstances twelve-piece band We Are Ghosts would appear to thrive and they prove the point on their new EP. Thanks to its droning atmospheres and a bleak female vocal (including the key line “Sometimes I think that sleep is overrated”), ‘Sleepless In The Desert’ conveys an appropriate feeling of paranoia and restlessness. For ‘Come Home’ the group indulge in a post-punk influence circa Factory Records 1981 with the twin vocals adding to the sense of eeriness, which soon becomes even more threatening once the dirty funk of ‘Non Work Song’ (which could be an alternative anthem for disaffected workers everywhere) kicks in. We Are Ghosts convince with the intensity and conviction of their performance. ‘InDnegev’ may not be the easiest of listening experiences but the dozen participants display an almost telepathic musicianship to craft an unsettling, mesmeric set of songs. Nicolas Jaar may count on New York as his birthplace but it is Santiago, Chile where he spent his formative years. Upon his return to NYC, he released an electronica EP at the age of seventeen and three years later he has developed his first album. 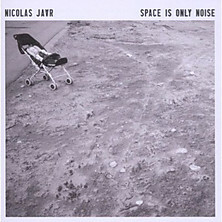 ‘Space Is Only Noise’ takes the less is more approach favoured by many of Jaar’s contemporaries but his influences are far more cosmopolitan than most. 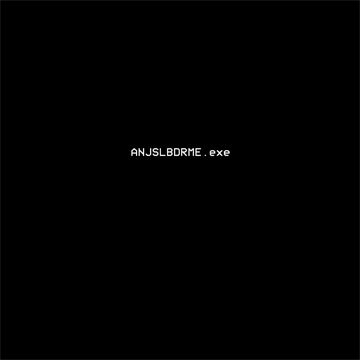 The album starts in unassuming fashion as minimalist piano and childrens’ laughter characterise the moody ‘Être’. Clearly this is going to be a record which rewards the patient listener; dipping in to jazz and classical territory as much as it does electronica, whilst it’s underscored by the lonely ambience of reggae and blues records. Just when Jaar seems to drift in to high-class background music, the eerie dub-inflected ‘Too Many Kids Finding Rain In The Dust’ appears, immediately followed by a deliciously dark ‘Keep Me There’ which meanders in to all kind of interesting detours. The title track, meanwhile, is repeated like a mantra over squelching synths in a manner reminiscent of Canadian artist Circlesquare. Such are the numbers of minmalist artists out there now, it’s increasingly difficult to distinguish one from another. This is not a problem for Jaar who has crafted an original work which contains enough variety to maintain interest from beginning to end. Considering The Big I Am base most of their songs around ukelele, cuatro and piano, it’s unlikely they would be compared to The Blue Nile. 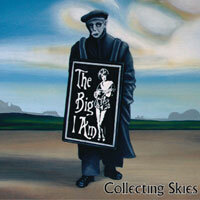 Yet it is the Scottish band and The Big I Am’s fellow Liverpudlians It’s Immaterial who they most closely resemble on their new album ‘Collecting Skies’. Vocal duties are shared between Colin Heaney and Peter McPartland and they provide the perfect foils for each other. ‘Better Days’ has an aura of hope and sunshine to contrast with the yearning opener ‘Hole’. String arrangements don’t always help but here they complement the classic songwriting values of the three main protagonists. There might be occasions when the group stick to melodies which seem too simplistic but it’s hard not to be won over by ‘Opposite’s soaring chorus or the excellent closing couplet comprising the beautifully arranged title track and ‘Board Games’, a surprisngly melancholic way to end the record. As you may expect for a group in their middle ages, The Big I Am create songs addressing everyman concerns, which exude a natural warmth. Equally apparent is that even though the mood and sound is nostalgic, the atmosphere is fresh and vibrant. Following on from That Ghost’s DIY version of dreampop, comes W-H-I-T-E’s new 12″, ‘Twin Tigers’. 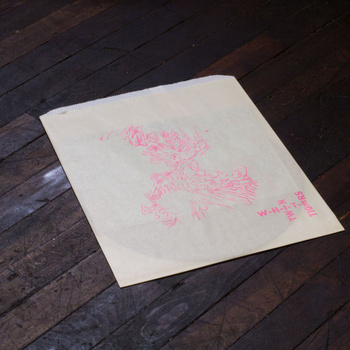 The brainchild of Cory Thomas Hanson, the artist intriguingly promises us “wet soundscapes” amongst other delights. ‘Fountain’ is definitely a mesmerising start. Here the baroque keyboard flourishes dovetail with Hanson’s queasily endearing voice. Then the title track uses a repeated guitar and drum riffs with Hanson doing his best to sound like a demented choirboy.’See The Blood’ is simply exquisite as a dreamy acoustic melody is accompanied by grand keyboards and intense percussion. After this fabulous opening triptych, the album’s fine moments become less frequent and by the time of the jungle noise-inspired japery of ‘Mondo Magic’, there’s a sense that Hanson is beginning to run out of hooks. Furthermore, his voice seems to become even more sickly; an impression exacerbated by the shrill sounds of album closer ‘Catacomb Your Hair’. The overall effect is a bit like a trip on the merry go round; exciting and thrilling at first but when the novelty wears off, you feel disorientated and want the journey to end. This could therefore be seen as a missed opportunity for Hanson but if he can maintain his initial fine form for the duration of an album, he could be on to something special.